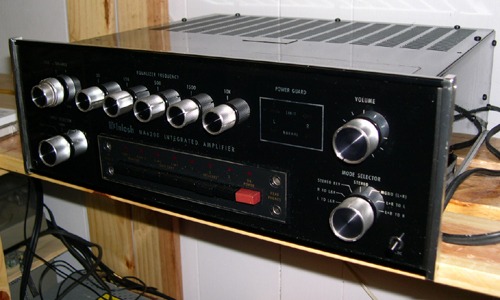 Just want to thank you both for this wonderful 151 Heathkit integrated amp. I was again last night marveling at the low level detail revealed so clearly and the ample and clean bass! 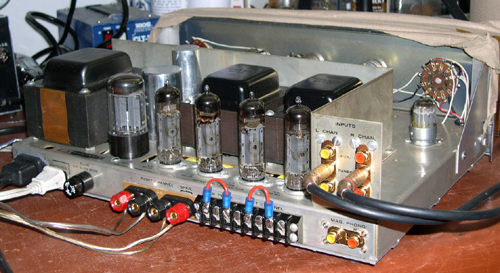 I had heard that EL 84's did a good job of bass but it makes you look twice at these small output tubes. 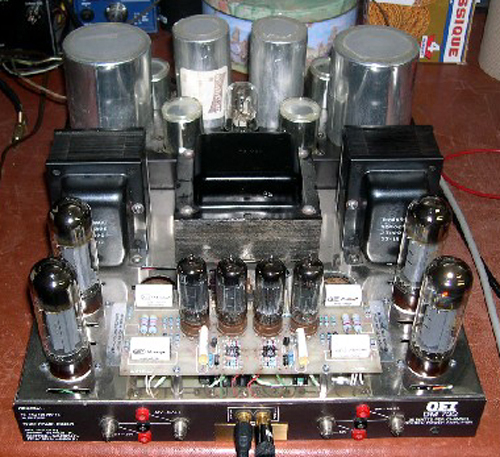 I received the GE 7700 tube amplifier on Friday. 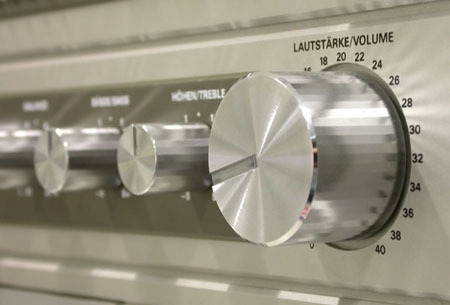 It is now Monday evening and I am simply blown away with the sound of this unit. This is my first experience with tube sound. I have literally burned through a half dozen receivers over the last couple of years. It's kind of ironic that this unit was built around 1958 and all of my supposed top of the line receivers couldn't touch it. Enjoyment somehow doesn't seem adequate to describe the pleasure I've had with the new/old Scott 299-C over the past couple of weeks. I guess if I was pressed to describe the difference with my previous unit (an already awesome NAD 3020i solid state) it's that everything has a bit more sustain: notes drift off in intensity rather than reaching a certain level and dropping off. The effect to to make all of the music sound more natural. 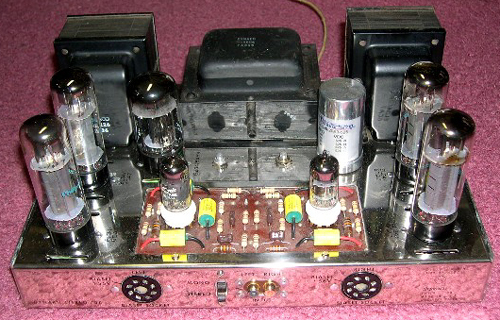 I purchased two totally rebuilt pieces of vintage "TUBE" equipment this past summer from my friend Steve in the sales department at Sam Audio Lab. 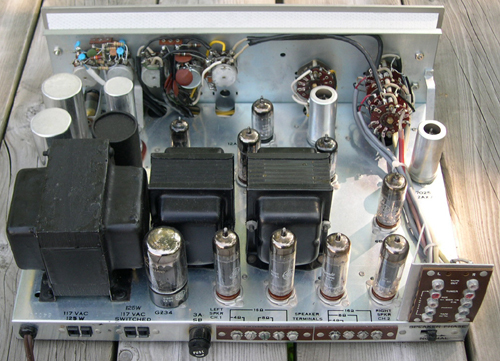 The items I purchased were a Dynaco ST-70 amp coupled with a Scott 130 preamp. Let me explain how the two of these pieces of vintage equipment sounded when run through my Klipsch Belle speakers. The system sounded absolutely AMAZING! Quite frankly... I would honestly have to say that it is by far "The Best Sound System That I Have Ever Heard!" Thanks to Sam for his electronic expertise and making my system the best that it can be. My friends and relatives are in SHOCK when they hear it and... I LOVE IT! The professional sales staff at Sam Audio Lab helped me immensely throughout the process of deciding on an amp that I would be 100% happy with. I went through three separate amps trying to find that special sound that I desired before deciding on the Dynaco ST-70 amp and the Scott 130 preamp. They were very patient with me and helpful in every way possible. The sales department even went as far as bringing some of the equipment right to my home in order to find out what I really needed and wanted as a customer. Very hands on and very appreciated! Thanks A Lot Steve! I've been listening to my MA6200 amplifier for a few weeks now. The sound from this amp is absolutely stunning! Great highs, full robust bass, and that lovely warm McIntosh sound. Our beautiful receiver is all hooked up and making wonderful sounds through the new speakers. I've now checked out this beautiful piece of equipment. Thanks so much to you and to Sam for the fabulous restoration and upgrade. With the proper antenna, the multiplex stereo FM sound great. More importantly for my listening purposes, the CDs I listen to incessantly sound much better than with any other of my equipment. A modern Nancy LaMott jazz CD sounds like I am there! The sound is warm and silky without losing any of the details captured by digital recording. The same is true of a modern recording of the Rachmaninoff Rhapsody on a Theme of Paganini, with the orchestra crips and strong and the piano sounded well-oiled. These sound even better than my $8,000 dollar mono blocs which take 8 6550s. Now as for power the monos have a bit more... but in all presence and detail this amplifier is back and better than before.... I have waited 5 years to get this back and get it right.. 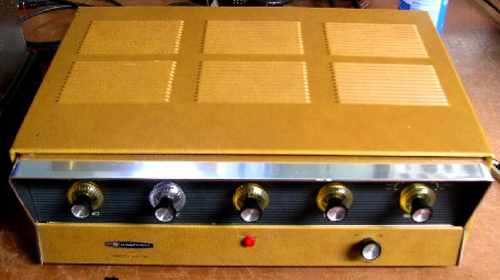 I am the grateful new owner of your restored and custom designed Heathkit 151 integrated amplifier. It is all I hoped for and more. Having been made aware of Sam through the excellent review of the restored, by Sam, Eico HF-81 in Stereophile, this is the most important review I have read. I agree with everything Peter described for the Eico being true for the Heathkit. My stereo has never sounded this good. 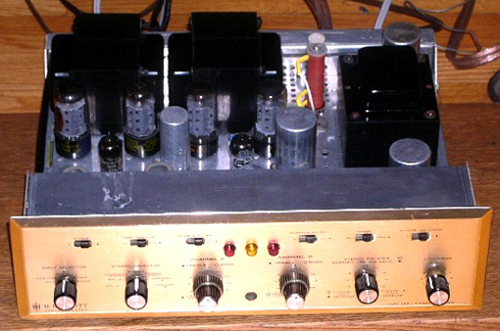 My previous preamp, the all tube Audible Illusions Modulus 3, is excellent. I previously paired the Modulus with both a Jeff Rowland SS amp, and an Audio Research all tube amp. None of those combinations, although very good, equal the Heathkit from Sam. All of the tube magic is there, and to a greater degree than I have ever experienced. Superb dynamics, an extended treble, and impressive control and depth of the bass is hard to believe is emanting from a 15 watt tube amp. I believe this is only possible with Sam's master skill and passion for producing a work of art. I have a Sam rebuilt Heath 151 in pure triode mode. 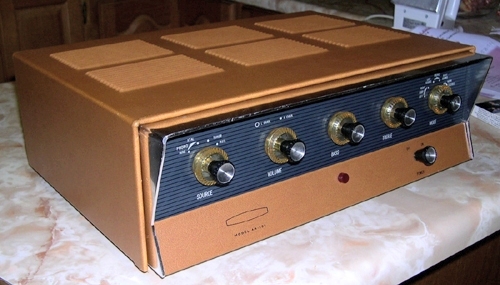 I bought this amp from a "modder", but the difference is night and day. The quality of workmanship is matched by the quality of sound. I never thought 20 watts would sound this good. Really Good, in fact. 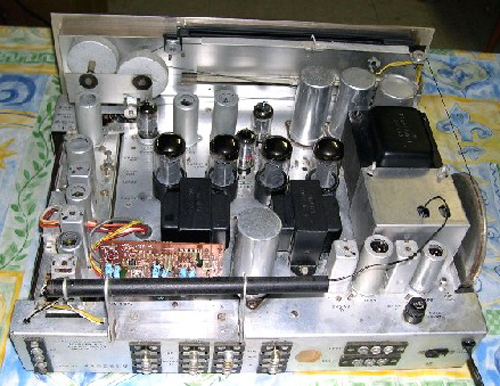 And from a Heathkit! There's so much more power, delicate detail, and harmonic accuracy in everything I play. This isn't subtle. I'm sitting here listening to some Mark Knopfler, now it sounds like Real Music, beautiful rich vocals. Eminently enjoyable in a deep satisfying way. Its got to be the harmonics. Every note is a fuller, deeper experience. And the bass.... The bass now has texture and detail, without sacrificing mid range bloom and the proper upper end ring. For me, here's the bottom line - my music is so much more enjoyable now, listening is a pleasure. A simple, lovely experience. I would recommend Sam's work to the range of people trying to extract that last 5%, and just as well for the person wanting to gain that first 80% of musical tonal accuracy. 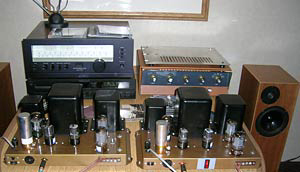 Thanks for taking the time to let me try out various amplifiers that you've modified. I'm absolutely blown away by the difference between your amps and my previous tube gear.